Dr. Monica Riley is the Interim Executive Director for the School of Education at the University of Arkansas Fort Smith. Welcome to the School of Education at University of Arkansas - Fort Smith. The mission of the School of Education is to prepare "Professionals United to Ensure Continuous Learning and Success". The School of Education is committed to excellence in teacher preparation through classroom instruction, diverse field experiences, collaborative partnerships, and research-based innovative best practices. UAFS School of Education graduates are sought after for employment and make significant contributions in long-term careers in the field of education. The School of Education faculty are actively involved in scholarly and professional growth activities that support the shared vision, professional growth, and commitment to increased levels of student learning for the teacher candidates and P-12 students they serve. The School of Education offers Bachelors' degrees with teacher licensure in Elementary Education (K-6) and Middle Childhood Education (4-8). Additionally, it offers an Associate of Applied Science in Early Childhood Education degree for those preparing to work in a preschool setting. 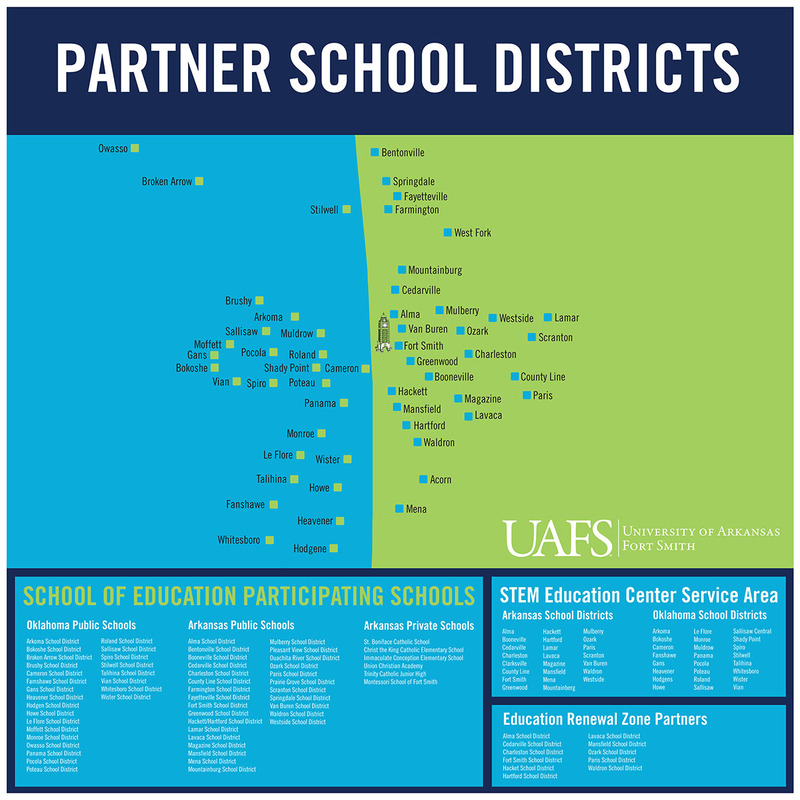 The School of Education partners with colleges on the UAFS campus to offer secondary education licensure in English, History, Mathematics, Spanish, and Music. For more information about the School of Education and its programs, call us at 479-788-7908.